Botox® is the trade name of Botulinum Toxin Type A, a purified protein produced by the bacterium Clostridum botulinum. Since the early 1990’s it has been FDA approved for use as a cosmetic treatment for the frown lines. It is also commonly used to non-surgically reduce or temporarily eliminate the appearance of other facial wrinkles. Other areas that are medically and cosmetically treated are around the eyes (crow’s feet), forehead (frown and worry lines), nasal bridge (bunny lines), surrounding the mouth (vertical lip lines) and neck. Botox® works by blocking nerve impulses, thus weakening the muscles of facial expression which are located beneath the immediate surface of the facial skin. Once the resting tone of these muscles are weakened, the muscles relax and the skin flattens out. This treatment option provides an approach to treating the aging face or prolong the changes that time and stress play on the skin’s appearance. 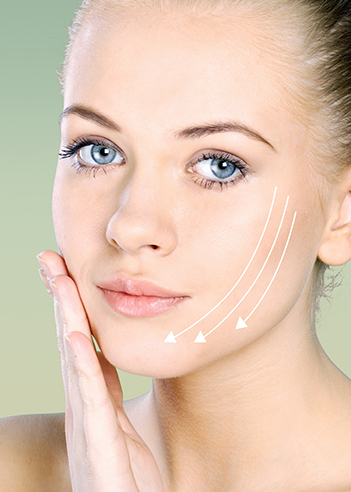 Dermal fillers work by filling in a fold or wrinkle, or by contouring areas of volume loss. A botox injection on the other hand physiologically weakens the muscles, removing the wrinkles naturally and giving the skin a rejuvenated look. Botox® may also be used to treat excessive sweating, known as hyperhidrosis. It can help reduce migraine headaches as well.